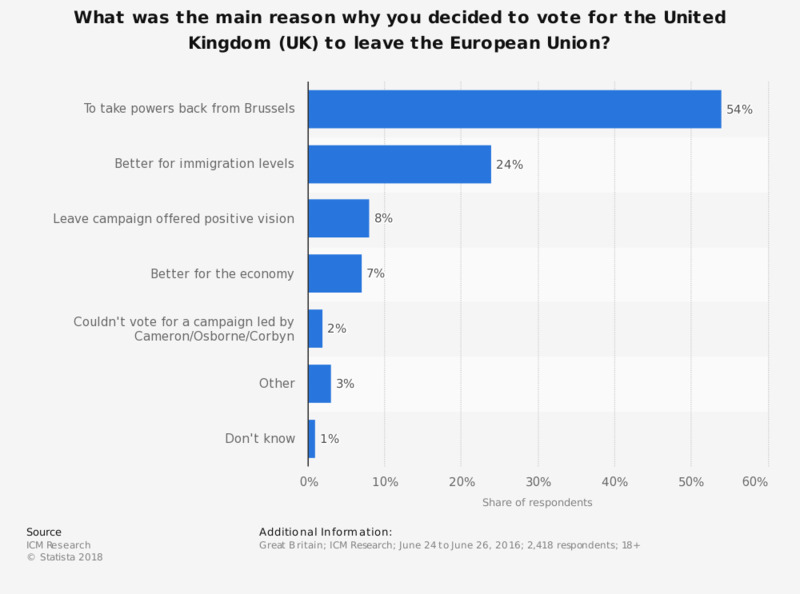 This statistic shows the reasons why leave balloters voted for the United Kingdom (UK) to leave the European Union. Almost one quarter of respondents stated that their main reason for voting leave was in order to control immigration levels. Do you think Britain's membership of the European Union is good or bad for the British economy? Do you think it is a good idea that Sweden is a member of the European Union?